This is despite the fact that jersey’s sold on the NCAA’s website are not technically supposed to be connected to a specific player, hence why there are no names on any of the jerseys. The NCAA disabled the search function after news of the discovery by Bilas began to spread around the internet, but the damage had already been done. 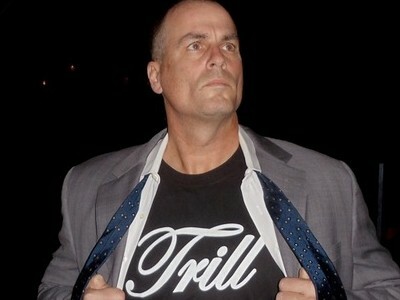 As most people know at this point it has been a big week in the world of accusations of PED use by pro athletes. 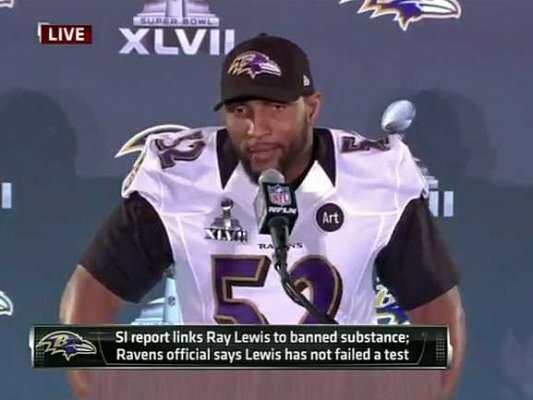 Baltimore Ravens linebacker Ray Lewis was connected to the banned substance IGF-1. The substance is banned by all professional sports, and according to a story set to run in Sports Illustrated next week was obtained by Lewis in the form of deer antler spray, which he was given to help recover from a torn triceps injury this fall. Christopher Key, co-owner of SWATS, (the company who supplied Lewis with the spray) says he also supplied the spray to about 20 university of Alabama football players prior to the 2012 BCS title game against LSU (source). Lewis has denied using the substance, and has used the tried and true defense that he has never failed a test. Lewis was supported by Ravens vice president of communications, Kevin Byrne, who released the following statement on behalf of the team: “Ray has been randomly tested for banned substances and has never failed a test. We have never been notified of a failed test. He has never been notified of a failed test” (source). Of course the great thing about IGF-1, and similar substances such as HGH is that there is no test in place to determine their presence in an athletes system. Turns out its pretty easy to never fail a test for a substance they don’t test for, Lance Armstrong managed to dope through seven Tour de France titles with this method.